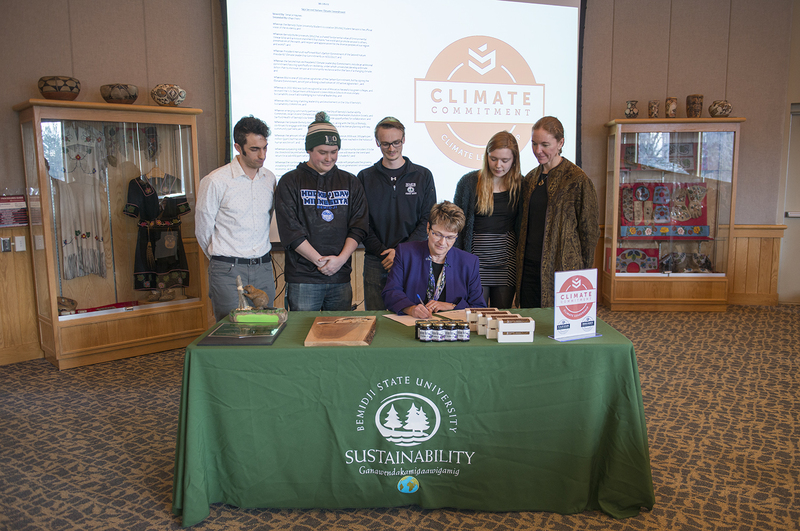 The Climate Commitment builds on Second Nature’s Carbon Commitment, a pledge to become carbon neutral by 2050 made by colleges and universities across the nation, signed by former BSU President Dr. Jon E. Quistgaard in 2008 and renewed by President Hensrud in 2017. 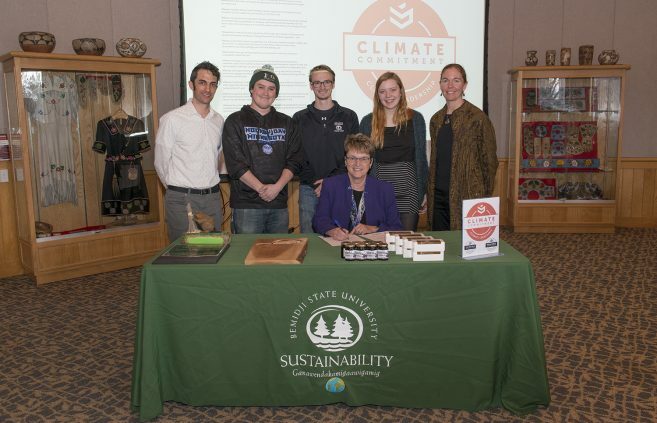 By signing the Climate Commitment, BSU takes an oath to integrate carbon neutrality with climate resilience and provide a systems approach to mitigating and adapting to a changing climate. 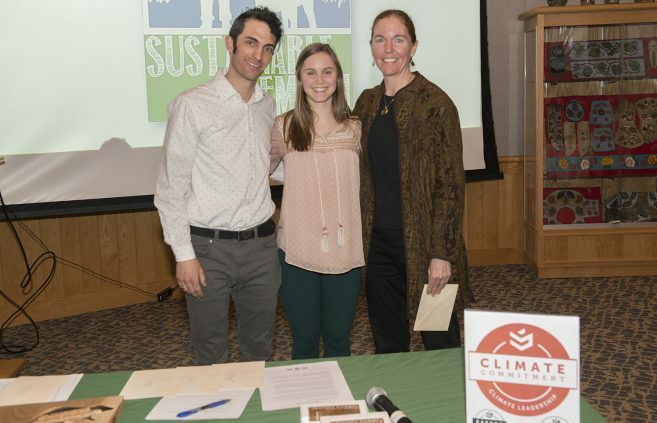 Jordan Lutz, sustainability project manager, is looking forward to what resilience planning will look like for the university in the years to come. 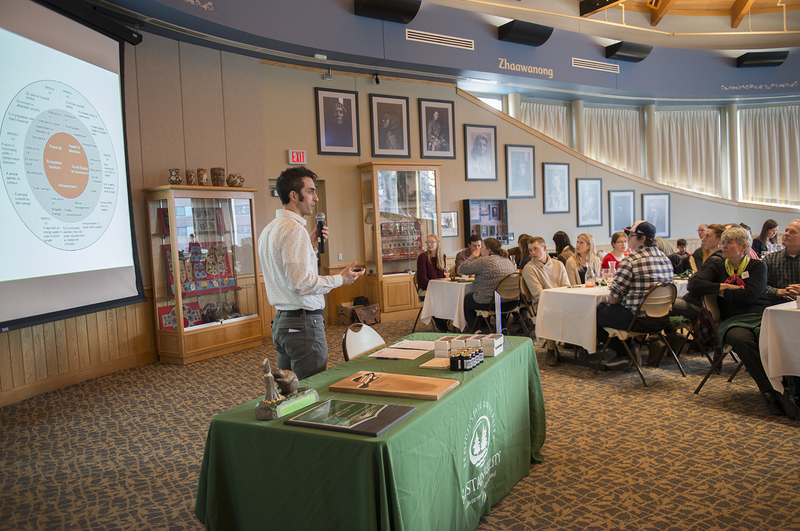 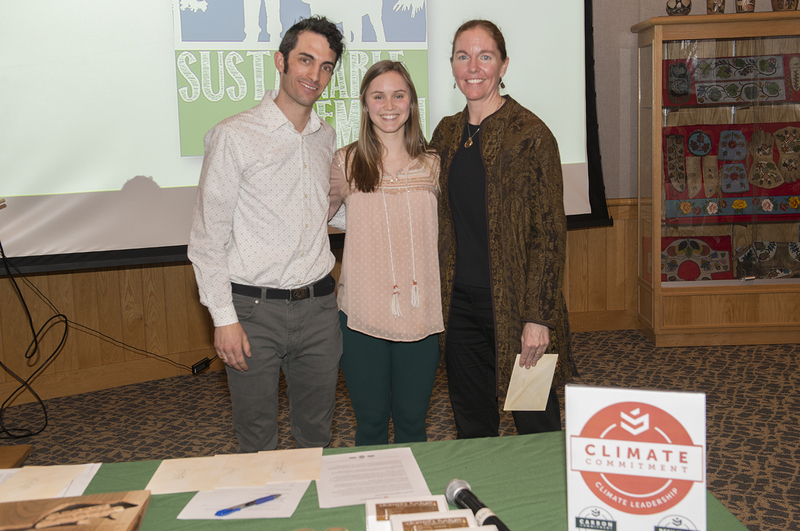 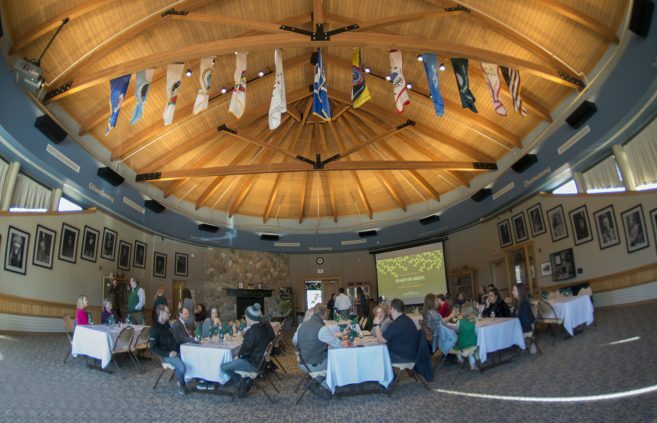 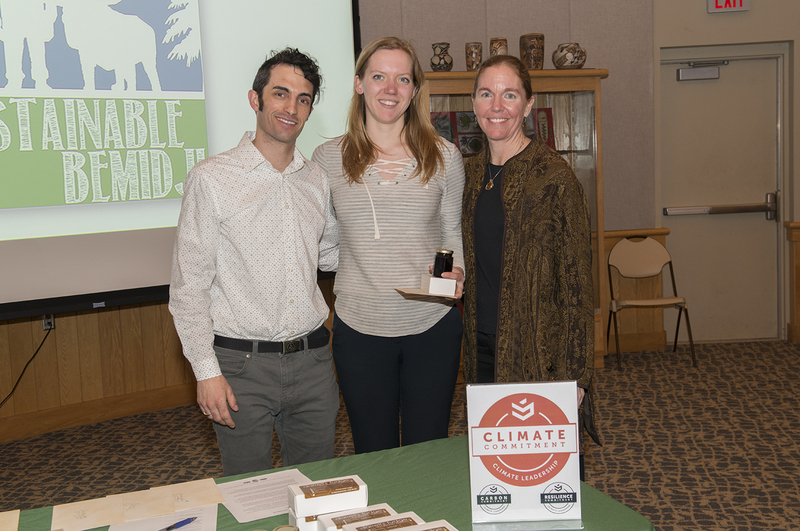 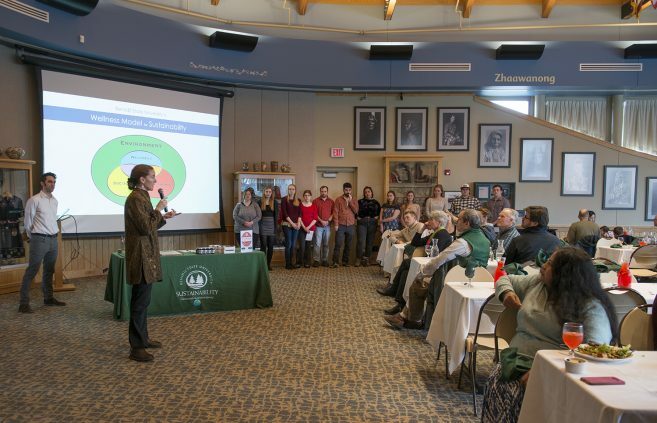 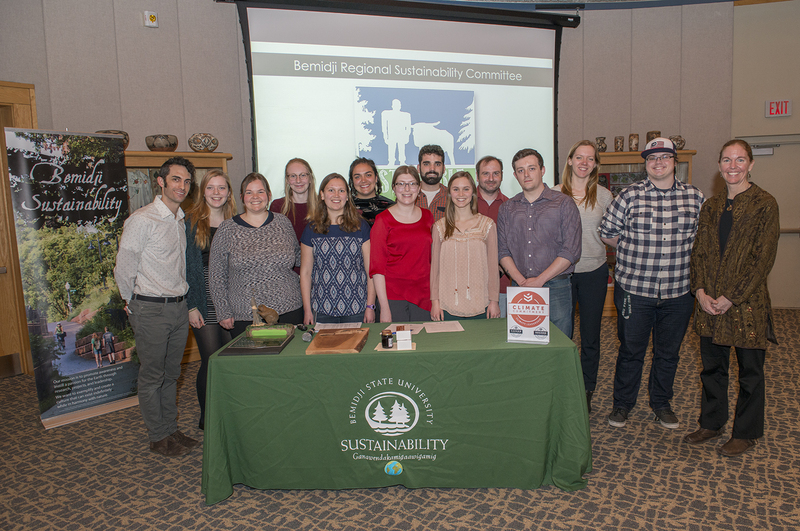 The Feast of Green, a meal to acknowledge the sustainability efforts of students, faculty and staff both on campus and in the community, also featured 2019 school year project presentations by students working with BSU’s Sustainability Office. 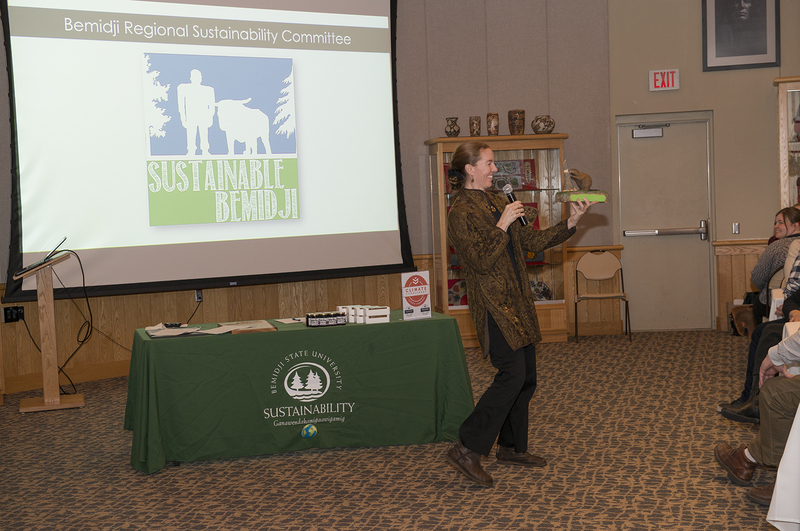 Projects include planting a Centennial garden on campus, spearheading recycling efforts for Hockey Day Minnesota and planning the Arts of the Earth festival. 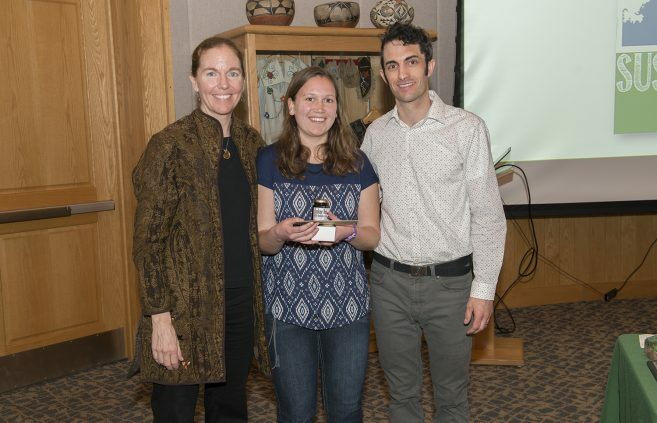 During the event, Erika Bailey-Johnson, sustainability coordinator, named BSU alumna Tessa Haagenson as the 2019 Amik Award recipient. 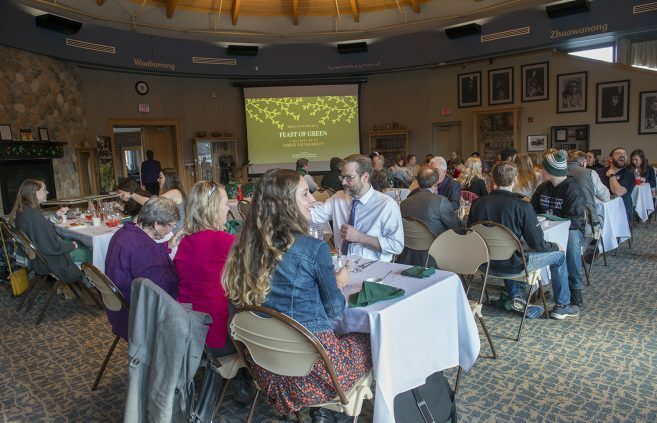 The awards’ name comes from the Ojibwe word for “beaver” and each recipient is gifted a wooden beaver hand-made from a white pine tree that used to be on campus. 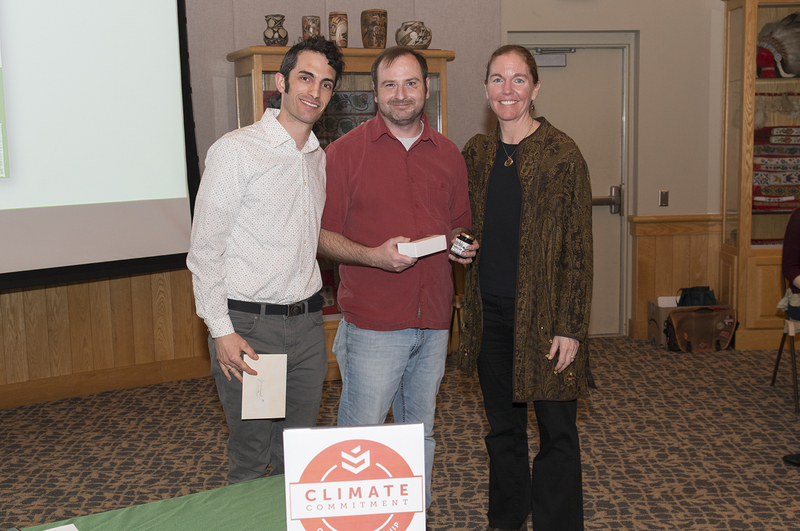 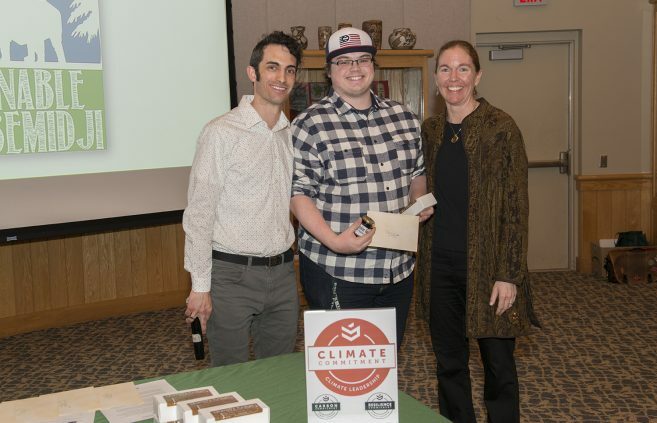 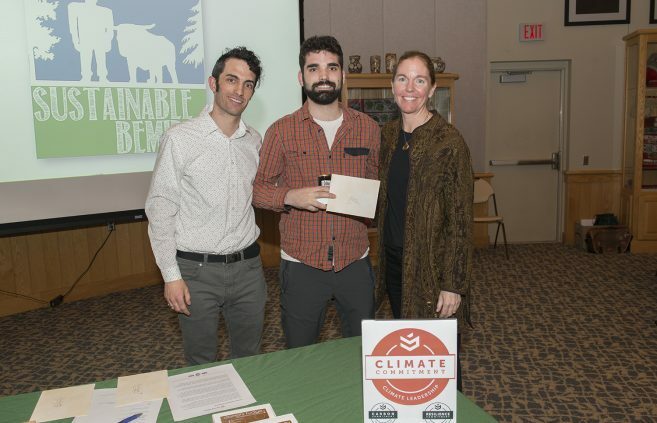 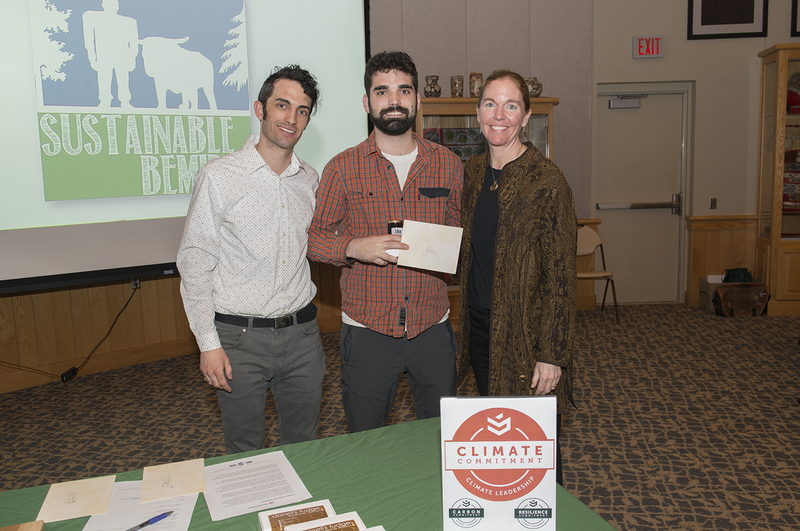 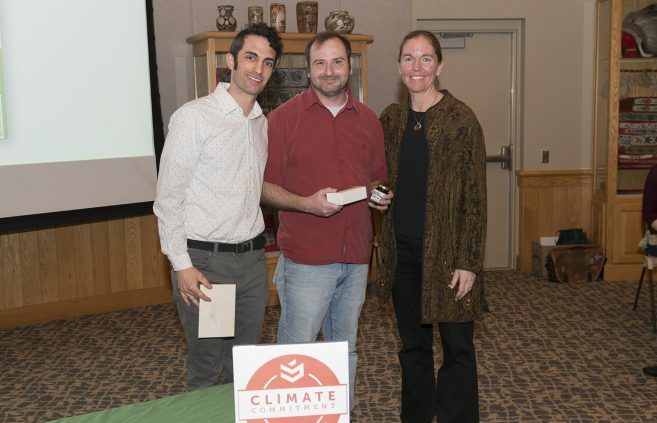 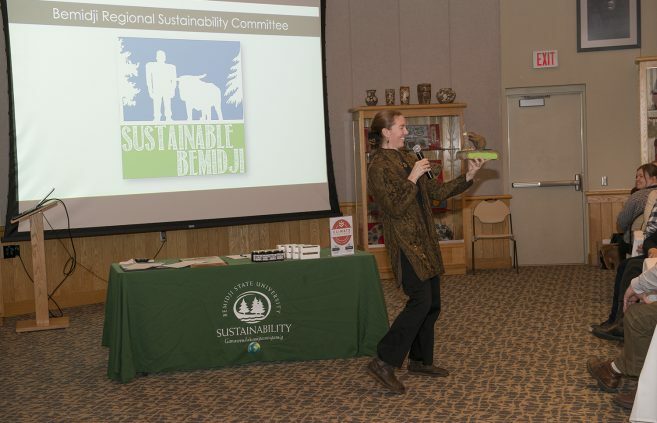 The awards are carved by a local woodworker, and given to someone who has made a lasting impact on sustainability at BSU, Bailey-Johnson said.